Let's face it, it’s tough explaining Ripple to your friends and family. Heck, it was tough explaining Bitcoin to your friends and family. Let's draw an example of how this goes. Dad pretends to hear what you’re saying. He's your Dad, after all, and he wants to encourage you in life! He gives his usual head-nod and smiles slightly. Looks like junior is off on one of his little tirades again about... something. "When you want to buy something with Bitcoin, it can take up to six hours to settle your transaction. XRP can do it in four seconds. Then his eyes light up. He recognized a respected name - VISA - and he also understands that six hours is a long time to be standing at a cash register. But then there's a little glint in his eye and he tilts his head to the side, thinking for a moment. "Well, why wouldn't I just use VISA?" "VISA charges huge fees! XRP charges literally almost zero fees to use their payment network! 3 XRP can also convert any currency you want to pay in, to any other currency that the vendor accepts! It doesn't matter whether its US dollars, Japanese yen, Canadian dollars, Euros, Indian Rupees, or South Korean won. XRP can transform instantly into any of these!" His eyebrows rise and he shrugs his shoulders. "Huh. Okay then. Well, I've got to go water the plants now." And so it goes trying to explain your favorite crypto-currency! If you're a fan of XRP, this has been something you've been dealing with for a while now. Ripple, the US-based company behind XRP, has done their job exceedingly well from beginning to end. Their product is literally the biggest thing to happen to worldwide payments in a generation, and yet, we don't hear much about it. Does their corporate symbol remind you of anything? Looking at these spinners in every gas station that you walk into in the United States, you might think that it's a lost marketing opportunity for Ripple. 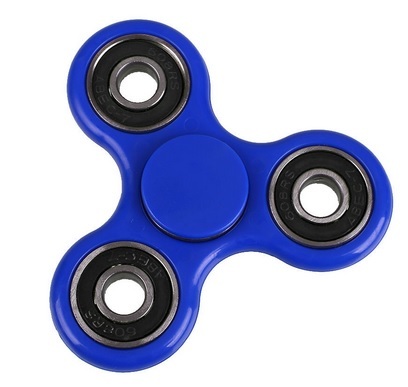 Maybe they could somehow do some marketing and tie in the Ripple spinners? Yes, maybe. But Ripple doesn't have a history of slick marketing. Their customers are banks and financial institutions, and those clients want to see hard numbers, liquidity, network speed, and are very concerned about performance. They don’t care about Ripple spinners. And yet, looking at the marketing teams from Apple and Google, we all know that it's not just about overwhelmingly good technology. 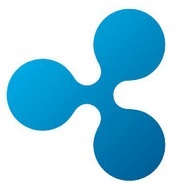 It's about brand as well, and Ripple has become very self-aware of their brand. They’ve taken steps to separate themselves from their would-be, crypto-coin competitors, who often have a shadowy non-profit foundation headquartered in countries with very loose financial regulations. They’ve distanced themselves with anything that could even be perceived as a potential violation of AML or KYC regulations. Unlike their competitors, they’ve kept rigorously to the straight-and-narrow, with a clear vision of taking their technology innovations to the next level. But they don’t say “no” if you want to purchase some XRP! The crypto industry is a growing one, and the money from investment bankers and early angel investors, as well as the ordinary day-to-day crypto-coin buyers, has been truly astounding in the first half of 2017. So why hasn't my Dad heard of XRP … or Ripple? As I said, Ripple is conservative. Their customers are banks, not young technology adopters who purchased the Apple watch. And so any advertising they do tends to be low-key, at industry conferences. Ripple wants to be the first financial technology company with a digital token to go mainstream and it looks like they might already be there... your parents just don't know it yet!